Born and bred in Melbourne, Funky Trunks is the Aussie label for guys to make a statement when the pants come down. 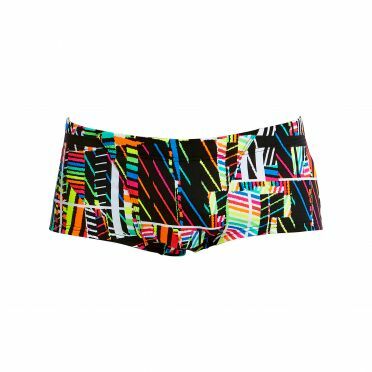 With crazy colours in comfy styles, spread across an extensive range of swimwear, underwear, beachwear and apparel, Funky Trunks is designed for serious performance without the serious attitude. Funky trunks lives by their motto, go fast, defy conformity, have balls. That means they're going to make you the best products that we can, so that you can go all out to perform at your best. But they're going to do it differently from the rest because life’s too short to be normal. So they’ll put a hamburger on your trunks or an elephant’s trunk on your junk, because that’s what makes us Funky Trunks. Whether you’re an Olympic athlete or an everyday athlete with Olympic sized dreams, Funky Trunks is committed to providing athletes with products that will get you through the hardest session. For every moment of exhilaration, there are thousands of laps, turns, starts, jumps and steps to get there. In every product they make a commitment to maximise the quality of our inputs while maintaining the most affordable price. they’re not the cheapest product on the market because they pay for the highest quality inputs and maintain strict manufacturing standards, but they’re not the most expensive either because Funky Trunks don’t invest in extravagant marketing campaigns that in the end, are paid for by the customer. 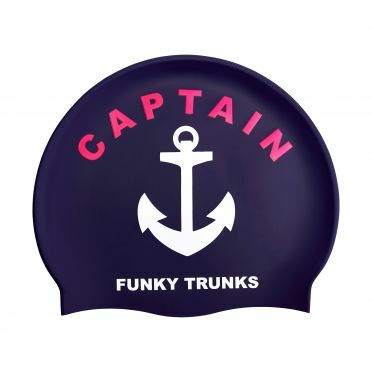 Comfortable and durable silicone Funky Trunks Silicone swimming cap Captain Funky that is latex free. The swimcap is ideal for indoor and outdoor swimming and features a 'one size fits all' size. 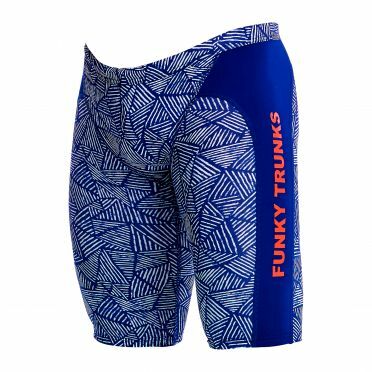 This Funky Trunks Rock Steady Classic trunk swimming men is the trunk with which it all began. The original and the most popular trunks style with a 16.5 cm side (slightly wider for larger sizes), and a stitched front pouch for added room with double lining for support. Drawcord to keep them up and wide elastic at waist and leg opening offer exceptional comfort all round. Rock Steady: This print is dedicated to two lovely but quite unsightly mutants who rescued us from a sewer after falling through a drain while arriving at our debut appearance at New York Fashion Week. The mutants took a break from hunting turtles and helped us find our way out of the sewer. Despite retelling our story to the Fashion Week supremo, we never got to show at fashion week again. 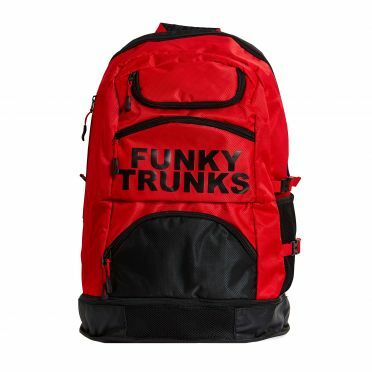 The Funky Trunks Elite squad backpack Fire storm is the ultimate backpack for training and competition. This backpack has up to 36L capacity with multiple segments including fabric-lined goggles compartment, waterproof base compartment for shoes and wet towels. With a mesh compartment, a cooler bag zip pocket to keep drinks and food cool and Large main section with laptop pocket you've got plenty of space to take everything you need. The back panel is comfortable padded and the shoulder straps come with a chest strap for postural support. 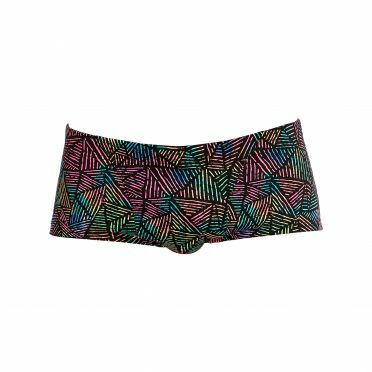 This Funky Trunks Interference Classic trunk swimming men is the trunk with which it all began. The original and the most popular trunks style with a 16.5 cm side (slightly wider for larger sizes), and a stitched front pouch for added room with double lining for support. Drawcord to keep them up and wide elastic at waist and leg opening offer exceptional comfort all round. 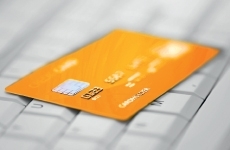 Interference: One of the reasons the superpowers of the world love our company is because we are willing to offer up our customers as pawns in their global power struggle. We’ve now incorporated radar jamming technology into our swimwear so that enemy surveillance is virtually impossible as long as every citizen is wearing our swimwear. Watch out for compulsory Funkys wearing for all citizens coming soon! 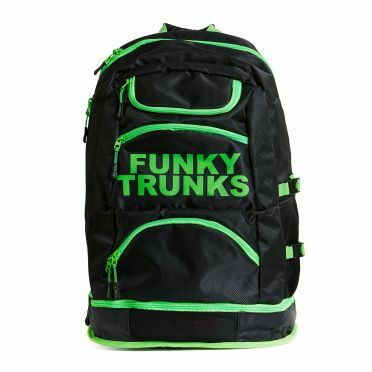 The Funky Trunks Elite squad backpack Lime light is the ultimate backpack for training and competition. This backpack has up to 36L capacity with multiple segments including fabric-lined goggles compartment, waterproof base compartment for shoes and wet towels. With a mesh compartment, a cooler bag zip pocket to keep drinks and food cool and Large main section with laptop pocket you've got plenty of space to take everything you need. The back panel is comfortable padded and the shoulder straps come with a chest strap for postural support. 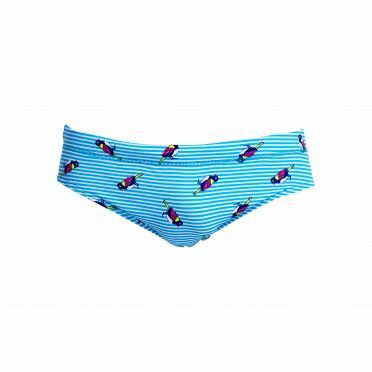 This Funky Trunks Tweety tweet Classic brief swimming men is a classic cut brief with 8cm sides and flat elastic waistband and flatlock stitch finish. Drawcord, front lining and Funky Trunks embroidery come standard. Tweety tweet: It may look simple but this print was one of the hardest we’ve ever had to design. It took us months to catch thousands of little birds and then press them onto the fabric to make a pretty pattern. We hope you think it was worth the effort, because it’s unlikely the finches felt the same way. This Funky Trunks Cumulus Classic brief swimming men is a classic cut brief with 8cm sides and flat elastic waistband and flatlock stitch finish. Drawcord, front lining and Funky Trunks embroidery come standard. Cumulus: To be a successful company it’s obvious that you have to launch a space program. So we are joining the race to be the first company to fly passengers, in their swimwear, into space. We have successfully achieved our first challenging milestone to design the swimwear that they will wear, and are now onto the easy bit of building the rocket. 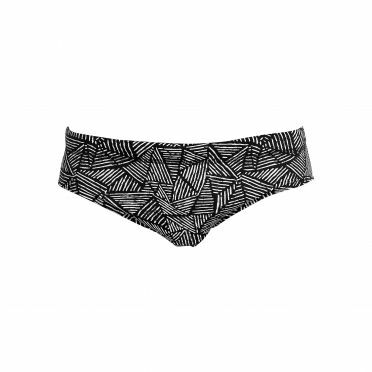 This Funky Trunks Black widow Classic brief swimming men is a classic cut brief with 8cm sides and flat elastic waistband and flatlock stitch finish. Drawcord, front lining and Funky Trunks embroidery come standard. Black widow: As the go-to brand for many celebrities we have an obligation to keep them safe when wearing our products. So our new factory employs thousands of spiders to weave bullet-proof fabrics to be worn by the beautiful people when they are at the beach, pool or gym to ensure they look great for the paparazzi while remaining safe from deranged stalkers. This Funky Trunks Fur pants Classic brief swimming men is a classic cut brief with 8cm sides and flat elastic waistband and flatlock stitch finish. Drawcord, front lining and Funky Trunks embroidery come standard. Fur pants: We have reclaimed our green credentials by agreeing to stop hunting bears to make our beautiful fur trunks. Instead we have taken the more humane approach of poaching children’s favourite cuddly toys and skinning them in front of the screaming children. This Funky Trunks Check republic Classic brief swimming men is a classic cut brief with 8cm sides and flat elastic waistband and flatlock stitch finish. Drawcord, front lining and Funky Trunks embroidery come standard. Check republic: Our new Scandinavian designer surprised us with their first design which arrived at the office flat packed in tiny pieces with an allen key and very poorly illustrated instructions. After much frustration we managed to assemble the print ready for our customers to wear. This Funky Trunks Cumulus Training jammer swimming men is perfect for regular training, it features flatlock stitching, comfortable leg opening, drawcord and rubber print Funky Trunks logo. It’s a popular choice for swimmers and triathletes and offers and extra layer of warmth in open water when a wetsuit isn’t an option. Cumulus: To be a successful company it’s obvious that you have to launch a space program. So we are joining the race to be the first company to fly passengers, in their swimwear, into space. We have successfully achieved our first challenging milestone to design the swimwear that they will wear, and are now onto the easy bit of building the rocket. This Funky Trunks Huntsman Training jammer swimming men is perfect for regular training, it features flatlock stitching, comfortable leg opening, drawcord and rubber print Funky Trunks logo. It’s a popular choice for swimmers and triathletes and offers and extra layer of warmth in open water when a wetsuit isn’t an option. Huntsman: As the go-to brand for many celebrities we have an obligation to keep them safe when wearing our products. So our new factory employs thousands of spiders to weave bullet-proof fabrics to be worn by the beautiful people when they are at the beach, pool or gym to ensure they look great for the paparazzi while remaining safe from deranged stalkers. This Funky Trunks Poison pop Training jammer swimming men is perfect for regular training, it features flatlock stitching, comfortable leg opening, drawcord and rubber print Funky Trunks logo. It’s a popular choice for swimmers and triathletes and offers and extra layer of warmth in open water when a wetsuit isn’t an option. Poison pop: As the go-to brand for many celebrities we have an obligation to keep them safe when wearing our products. So our new factory employs thousands of spiders to weave bullet-proof fabrics to be worn by the beautiful people when they are at the beach, pool or gym to ensure they look great for the paparazzi while remaining safe from deranged stalkers. 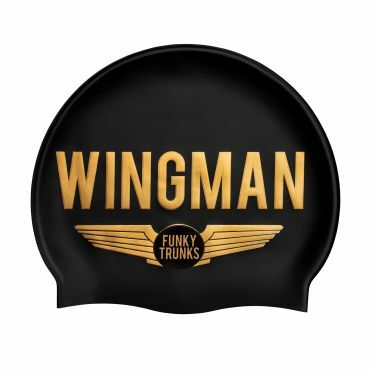 Comfortable and durable silicone Funky Trunks Silicone swimming cap Wingman that is latex free. The swimcap is ideal for indoor and outdoor swimming and features a 'one size fits all' size. 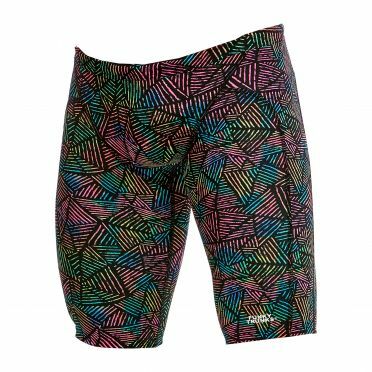 This Funky Trunks Colour burst Classic trunk swimming men is the trunk with which it all began. The original and the most popular trunks style with a 16.5 cm side (slightly wider for larger sizes), and a stitched front pouch for added room with double lining for support. Drawcord to keep them up and wide elastic at waist and leg opening offer exceptional comfort all round. Colour burst: Having our office next door to a panel beater is great considering we’re such bad drivers but it also helps when we get desperate for prints. At night we have been known to break into their spray room and have a party with the paints. It’s always easy to then blame it on the local riff raff. This Funky Trunks Poison pop Classic trunk swimming men is the trunk with which it all began. The original and the most popular trunks style with a 16.5 cm side (slightly wider for larger sizes), and a stitched front pouch for added room with double lining for support. Drawcord to keep them up and wide elastic at waist and leg opening offer exceptional comfort all round. Poison pop: As the go-to brand for many celebrities we have an obligation to keep them safe when wearing our products. So our new factory employs thousands of spiders to weave bullet-proof fabrics to be worn by the beautiful people when they are at the beach, pool or gym to ensure they look great for the paparazzi while remaining safe from deranged stalkers. This Funky Trunks Rusted Classic trunk swimming men is the trunk with which it all began. The original and the most popular trunks style with a 16.5 cm side (slightly wider for larger sizes), and a stitched front pouch for added room with double lining for support. Drawcord to keep them up and wide elastic at waist and leg opening offer exceptional comfort all round. Rusted: We’ve been around for so long now that our first swimsuits were actually made from metal. Heavy and very corrosive it wasn’t the ideal start to the business but 17 years on and the old swimsuits are just as heavy but now have a beautiful texture from the years of rust and decay. 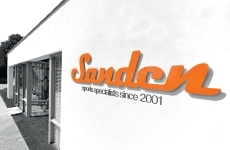 We’ve simply rebranded them as a lovely new print. This Funky Trunks I said swim Classic trunk swimming men is the trunk with which it all began. The original and the most popular trunks style with a 16.5 cm side (slightly wider for larger sizes), and a stitched front pouch for added room with double lining for support. Drawcord to keep them up and wide elastic at waist and leg opening offer exceptional comfort all round. I said swim: Everyone knows that swimming can get a bit monotonous so we’ve created a print to represent the black hole that a swimmer’s brain falls into while chasing the black line. Stare at the print while out of the pool and you can re-create the same vacant look that a swimmer has after a long session. 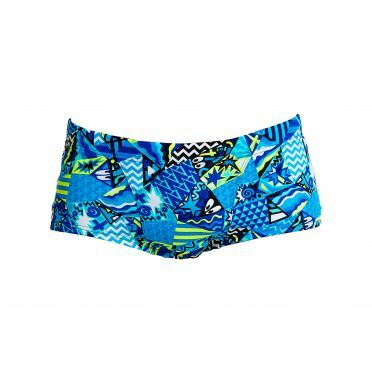 This Funky Trunks Sneaky swim Classic trunk swimming men is the trunk with which it all began. The original and the most popular trunks style with a 16.5 cm side (slightly wider for larger sizes), and a stitched front pouch for added room with double lining for support. Drawcord to keep them up and wide elastic at waist and leg opening offer exceptional comfort all round. Sneaky swim: Everyone knows that swimming can get a bit monotonous so we’ve created a print to represent the black hole that a swimmer’s brain falls into while chasing the black line. Stare at the print while out of the pool and you can re-create the same vacant look that a swimmer has after a long session. This Funky Trunks Panel pop Classic trunk swimming men is the trunk with which it all began. The original and the most popular trunks style with a 16.5 cm side (slightly wider for larger sizes), and a stitched front pouch for added room with double lining for support. Drawcord to keep them up and wide elastic at waist and leg opening offer exceptional comfort all round. Panel pop: Our tax avoidance skills have finally let us down after the feds caught onto our latest luxury yacht purchase. It’s not all bad news though as we salvaged the boards used to barricade our head office during the raids and turned them into this print. Plus the boss gets to take a few years off.